The Air Jordan 1 is one of the few silhouettes that I still wear; a timeless classic that will never get old. I was excited to receive these images from Feature LV, who will be stocking the Air Jordan 1 Retro High OG "Metallic Red" ($160). 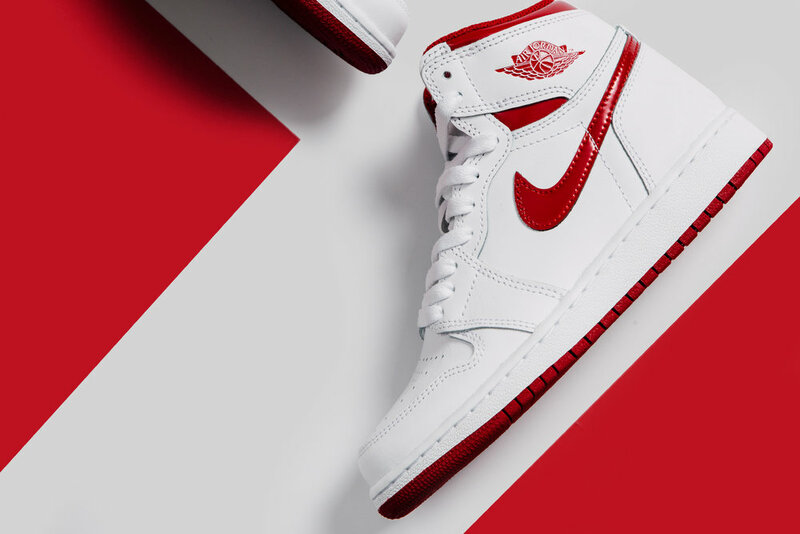 Though no specific release date has been given, this rendition showcases a smooth white leather upper with metallic red patent leather accents at the heel and Nike swoosh. The two toned look adds a nice twist of color and dope contrast to the blank canvas. 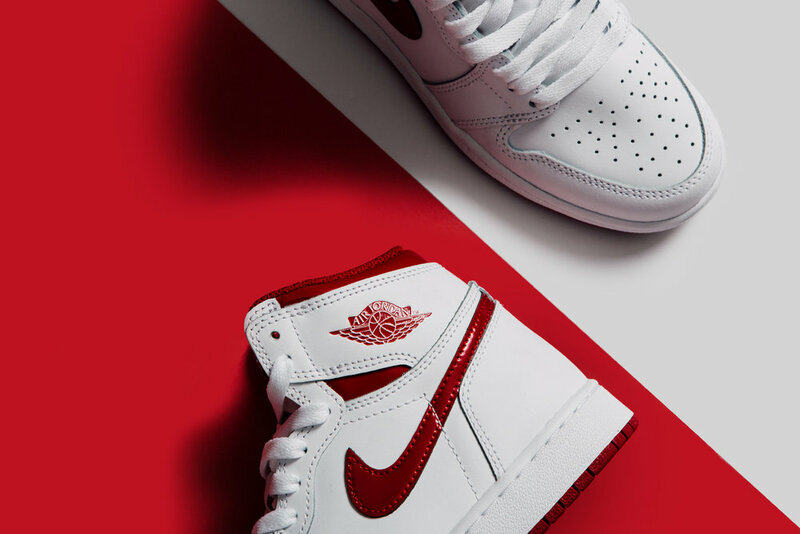 My favorite part of the entire AJ1 has to be the use of the iconic Air Jordan wings, seen on the ankle as well as the woven tongue tag.